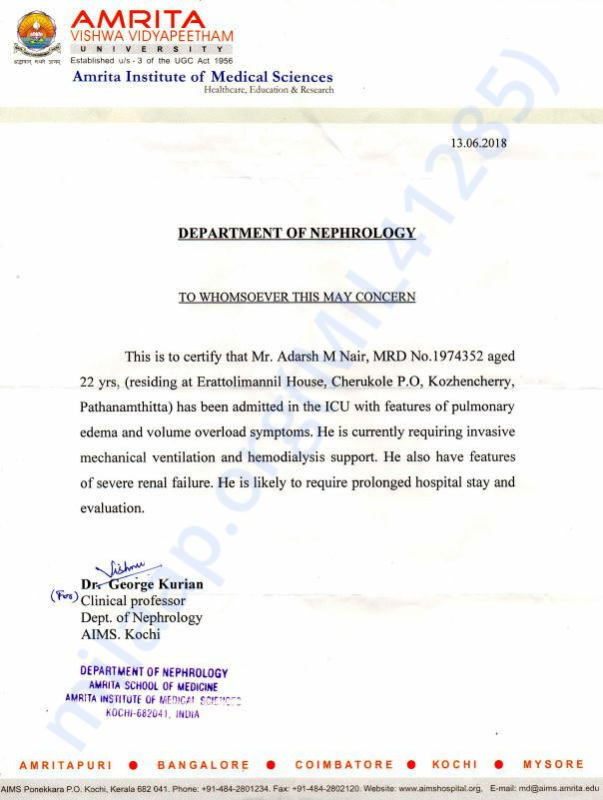 Help Adarsh Undergo An Urgent Kidney Transplantation. 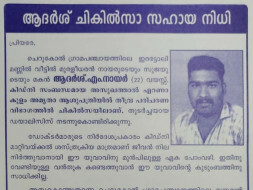 This fundraiser campaign is for our dear friend Adarsh M Nair (23 yrs) who needs urgent 8-12 lakhs for his Kidney transplantation. So requesting your prayers and financial support for Adarsh who is battling for his life at Amrita Hospital Ernakulam. He is a Hotel Management student and currently undergoing dialysis twice in a week. 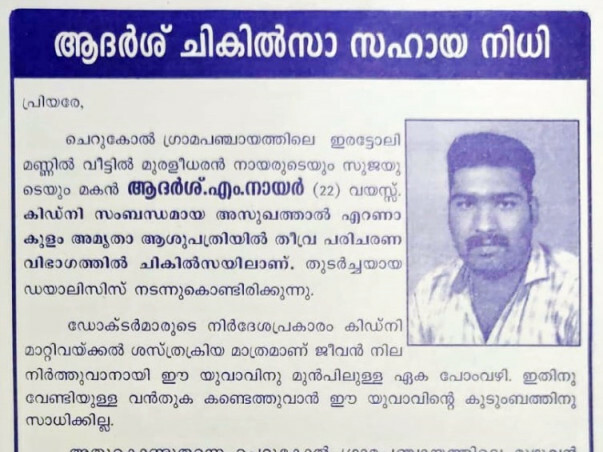 As the expense of the treatment is beyond the reach of his ailing parents, we earnestly request you to support his chances to come back to life and to be one like us through your sincere prayers and whole hearted financial assistance through donations. 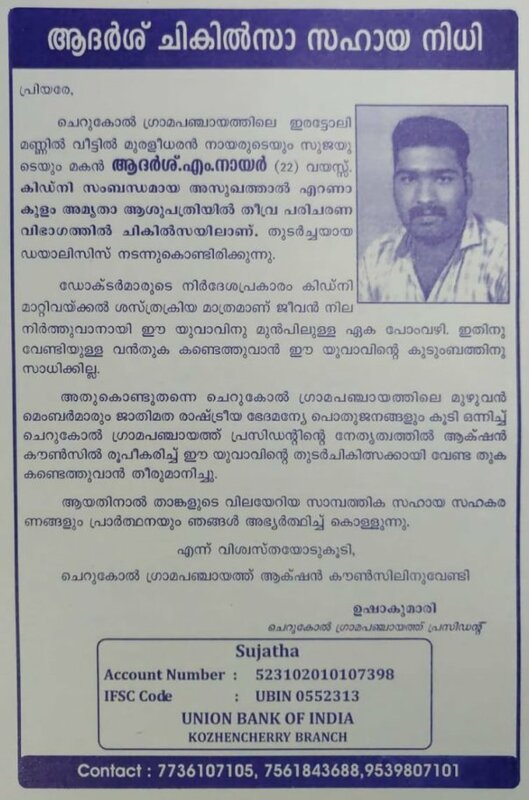 Faith with actions can move mountains and miracles will happen.We request your prayers and intercessions for Sujin who is the only hope for the ailing family. 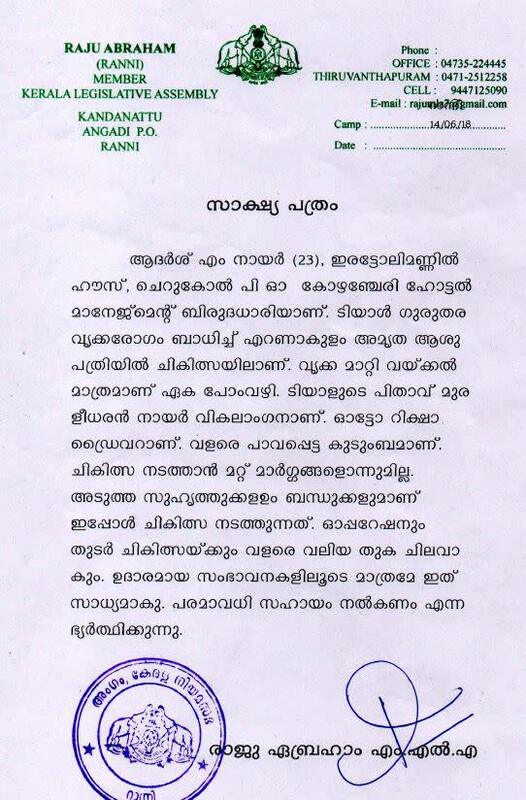 Kindly pass this request to all your friends and relatives for prayers and financial assistance. May God bless you and your family always! Anticipating your prompt and positive support….